The annual meeting of the South Central Unicorn Users Group will be held October 13, 2017 in Irving, Texas at the SB Hall of University of Dallas, home of the Satish & Yasmin Gupta College of Business. Windgate by Windham : A group rate for the conference is available at the Wingate by Windham. The conference rate is $95 per night and includes breakfast. 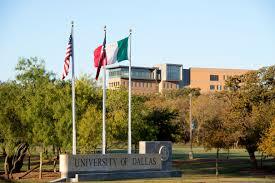 The conference rate is available by calling 972-751-1031 and asking for the "UD Library Conference" rate.